Sometimes touted as the ‘new asbestos’, exposure to silica dust during tunnel construction poses a serious safety issue. Australian engineers are leading the push to raise awareness and keep workers safe. According to occupational hygienist and engineer Kate Cole, silica dust is not really a new issue – concerns about its impacts on health have been around for a while. “Silica dust exposure and the resulting diseases [including silicosis] have plagued tunnel workers for centuries,” Cole told create. Cole explained that the hazardous substance, which can reduce lung function and in some cases lead to death, is generated by tunnelling, cutting, drilling or disturbing materials that contain quartz. Examples are Hawkesbury sandstone, concrete and bricks. Even though technological advances have greatly reduced the level of exposure for today’s tunnellers, Cole said silica dust still presents a challenge for major infrastructure projects across Australia. “Given the nature of what we do in tunnel construction, it will always present a risk that requires considerable control,” Cole explained. Cole said both clients and contractors have important roles in preventing ill health in the workforce. “In 2019, there’s a huge recognition that we all have a really big part to play,” she said. 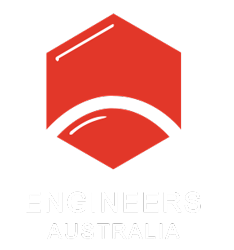 For the past year, Cole has chaired the Australian Tunnelling Society (ATS) Air Quality Working Group (AQWG), which will launch a suite of information about health strategies for managing silica dust exposure in tunnels at Engineers Australia’s Sydney office on 5 February. She said one of the greatest challenges is that silica dust is generated from many materials encountered daily in construction, building and tunnelling. But with proper management, it doesn’t have to be a show-stopper, said Keith Bannerman, an ATS National Executive member who was also involved with the AQWG. “That’s part of what this group’s trying to do: to bring forward the knowledge and mitigation measures to allow work to continue in a safe way,” Bannerman explained. While silica dust exposure doesn’t always get the same level of attention as dangers such as falling, crushing and machinery hazards, Cole said there were some really good examples of project operators tackling the issue. The AQWG wanted to tease out these “pockets of good practice” to create a body of knowledge that could be shared across the industry. To this end, the AQWG has made their documents freely available on the ATS website. Most importantly, Cole and Bannerman hope the work done by the AQWG will contribute to silica dust controls in the revised code of practice for the tunnelling industry, which will be developed in the coming year. While the stone bench top industry in Queensland is under fire for failing to address the risks of exposure to silica dust, Cole stressed the tunnelling industry has worked collaboratively to share their knowledge in order to keep workers safe. “Through the formation of the AQWG, we’ve got clients, contractors, regulatory authorities – all being proactive and working together on this issue,” she added. And issues such as intellectual property have not stood in the way. “That doesn’t happen in tunnelling; it’s about working together for the greater good,” Cole said. Bannerman added there had been an amazing sharing of knowledge across NSW’s industry, and estimated that the projects participating in the AQWG – including NorthConnex, WestConnex, and Sydney Metro City and Southwest – collectively represented more than $20 billion of capital works. Cole, one of this year’s Superstars of STEM, also credited the diversity of the group for the quality of information collected. Cole said the AQWG included a range of ages, experience, ethnic backgrounds and genders. “One of the strengths of the group was the fact that we all came from very different walks of life, and we all brought our own experience. And that is why it was so successful – it wasn’t just looking at it through one particular lens,” she explained.